10 Things Every Homeschool Mom Needs Series + Free Homeschool Mom’s Reading Pack! There are some things every homeschool mom needs and often we struggle to find them. Instead we push through each school day and accomplish things as we are able often without the things we need to truly succeed on our homeschool journey! 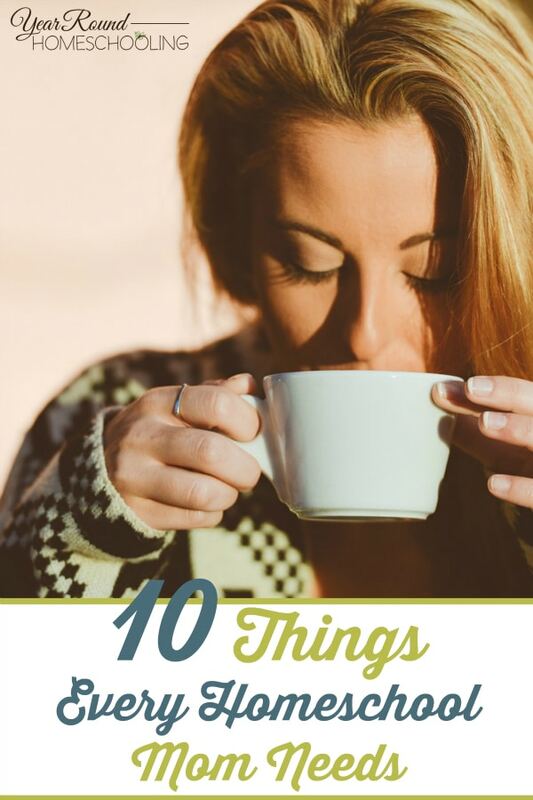 I’m excited to be sharing a new encouraging series covering the top 10 ten things that I believe every homeschool mom needs. As a year round homeschooler, right about now is the time I used to find myself wishing I wasn’t a year round homeschooler. 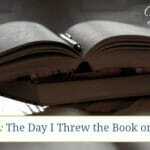 I needed a break and I longed to enjoy summer without ever cracking a schoolbook. 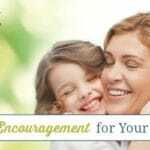 I thought that maybe I wasn’t alone in having these feelings and that it would be a good time to encourage and remind you of some very important things that you need to ensure you have in your homeschool. When I’ve taken care and ensured that I keep these things in my homeschool consistently I’ve found less stress, excited students and inspiration in myself to homeschool well! 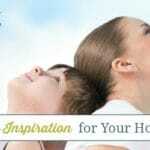 If you were to stop and think about what things you truly need in your homeschool, what would they be? I’d love for you to share them in the comments, you never know, maybe what you need will encourage another homeschool mom and show her that she isn’t alone or maybe it will become an idea for a blog post that we’ll share here (or part of another series) on another day. 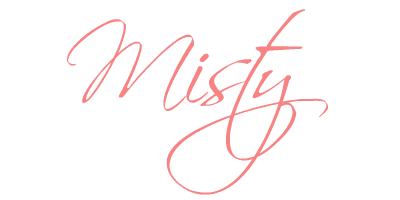 Homeschool moms need to take time for themselves and one of my favorite past times is reading. 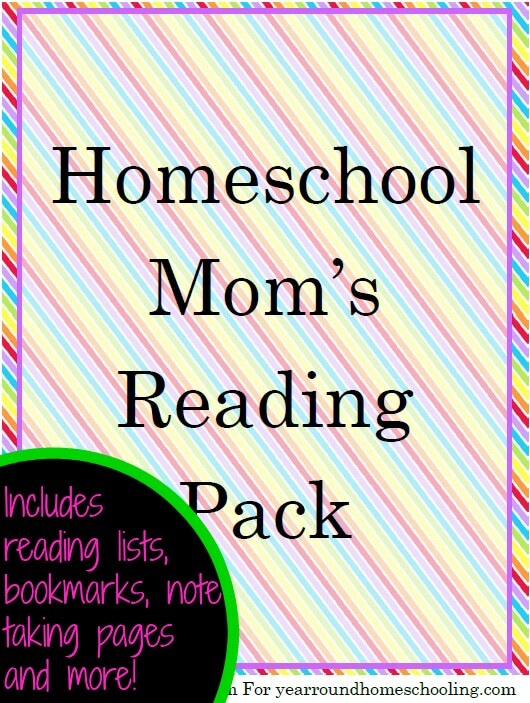 So, I’ve created a Free Homeschool Moms Reading Pack designed just for you! Inside you’ll find reading lists, note taking pages, bookmarks and more! 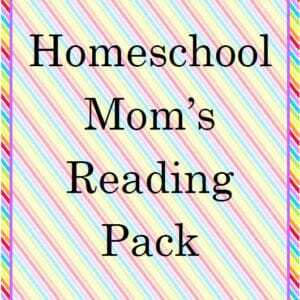 To receive this Free Homeschool Mom’s Reading Pack you MUST sign up to receive our emails below.